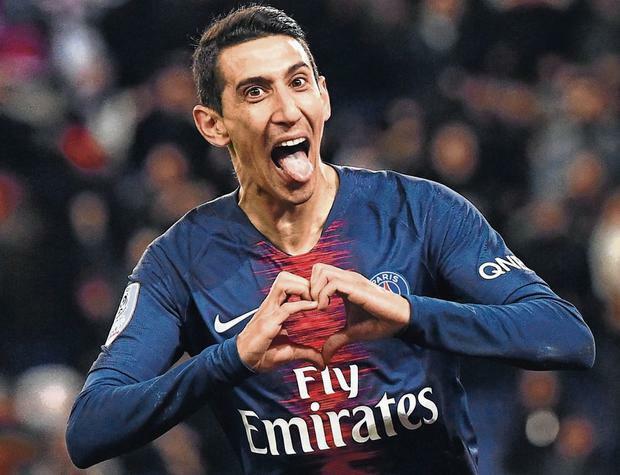 It wouldn’t be in Angel Di Maria’s character to say so publicly but, as he returns to Old Trafford this week, the Paris Saint-Germain forward badly wants to prove a point to a few current Manchester United figures who questioned that character. Much of it stems from one explosive day in the dressing room when many of the players finally got fed up with the Argentine, and club officials decided it was time to sell up. After another disappointingly anonymous display, Wayne Rooney offered some robust criticism to Di Maria’s face. A proper argument erupted. Strong words were used. Stronger words are still used about Di Maria from some of his former team-mates. “Talented but a complete fanny” is a conspicuously consistent description. Others just felt he “wasn’t giving 100pc”. The vast majority at Old Trafford would agree the £60m signing was one of the biggest flops in the club’s history, and a symbolic expensive failure that perfectly reflected the dysfunction of the post-Ferguson era. Many at PSG, however, would greatly dispute those perceptions of the popular Di Maria. Far from a weak character, they would argue he just needs the right setting to bring out real strength. This is after all a player who had the big-game mentality to be man of the match in a Champions League final, in 2014. This is the attacker so effective that his Argentina team-mates have for a long time considered him the national team’s most important player after Leo Messi – who loves Di Maria. The 30-year-old is one of a distinctive group to have played with Messi, Cristiano Ronaldo and Neymar, but has crucially excelled with every one of them. Far from the flop he was at United, Di Maria has shown real resolve to recover from that spell and prove one of PSG’s most astute signings. He is off the back of the most productive season of his career in 2017-’18 with 21 goals in 45 games. The context of his return is certainly more complex than his reputation at United. Part of it is that Di Maria is himself a more complex footballer than most. He dwells on his game more than most players, and is more introspective. This is a figure who was so conscious of the intensely pressurised criticism within Argentina that he took the proactive step of consulting a psychologist. His typically confessional Players Tribune piece on missing the 2014 World Cup final features notable terms like “hopelessness”, “I couldn’t control anything” and “that’s the business of football that people do not always see”. Some of the problems at United, though, probably came from everything going too right at Real. Madrid. There is a further irony that Di Maria had such issues with Louis van Gaal, given that one of the best spells in his career had come under the Dutch coach’s direct successor at Old Trafford. Jose Mourinho had specifically lobbied for his signing on arriving at Madrid in 2010. Considered a star winger on the level of Paulo Futre and Luis Figo in Portugal from his time with Benfica, Di Maria hadn’t just earned a move to the Bernabeu but also a prominent place in the Jorge Mendes empire. He was almost the perfect Mourinho player. There was first of all the fact he was a talented attacker versatile enough to play in many positions, including defensive midfield, and industrious enough to “run all day”. He was also one of the increasingly rare players at Madrid who was almost completely subservient to the Mourinho regime. Team-mates did see him as a meek teacher’s pet, as discord with the manager came close to a team uprising throughout 2012. One story has it that Di Maria had complained about how he’d been warned that Mourinho would publicly criticise him, to tactically set an example. Either way, he wasn’t meek on the pitch. His energy ensured he was a crucial tactical link in a lightning counter-attacking team. It was this that made him especially important to Argentina in their run to three successive finals from 2014 to 2016. Di Maria offered an essential “change of rhythm” and was not just versatile in position. Coaches marvelled at how he could play “short or long”, “go inside or outside”, or play “collectively or individually”. He was also a hugely unselfish player with a nose for goal. A peak came with that uproarious Messi-assisted strike against Switzerland in the 2014 World Cup last-16, as Di Maria enjoyed a wave of form from that Champions League final victory over Atletico Madrid. A real nadir all too abruptly followed. Missing the World Cup final itself was traumatic enough, but there was also one of the factors linked to it. Di Maria has revealed that, already struggling with injury throughout that tournament, he got a letter from Madrid in the lead-up to the final requesting he doesn’t play as they wanted to sell him to bring in James Rodriguez. Di Maria’s link to the Mourinho regime had by now worked against him. Florentino Perez wanted something flashy and new. Luckily for Madrid, so did United. That was what signing Di Maria would represent, for a club needing to make waves in the market. 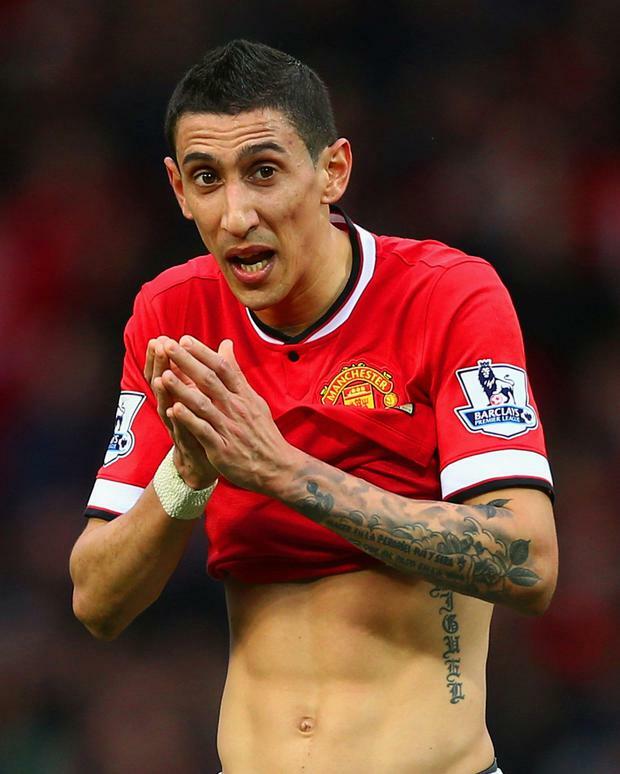 Unluckily for Di Maria, he really didn’t want to go to Old Trafford, but there were no other options. The Argentine represented an example of the gilded cage that footballers can live in, where their very success effectively restricts their options. No one else could afford to buy Di Maria, even if he was willing to take a pay cut. He just never wanted to be at United, but had no choice, and never settled in the city. That might have been something that could have been worked out, had it not been for the bigger problem – Van Gaal. Di Maria, according to many, “hated” the Dutch coach. It was here that the player’s versatility and talent almost worked against him, too, and another peak – albeit a brief one – just led to another low. Di Maria scored that sublime chip against Leicester City, but the haphazard 5-3 defeat United suffered made Van Gaal realise the team were far too open. The shackles came on, and Di Maria was shunted all over the pitch. Van Gaal wouldn’t allow the runs and releases that really made the Argentine’s game. The two men just didn’t match up in any sense, on or off the pitch. At the 2015 Copa America in Chile, the Argentinian technical staff were shocked at how Di Maria had seemed to lose his “rhythm”, and put all the blame on Van Gaal. They felt the United boss “ruined” the player. Di Maria was really enjoying none of his United experience. He wasn’t well liked in the dressing room, and many found him morose and not good for the team. One key player felt he just couldn’t handle what it meant to play for United. What is probably closer to the truth was that an already sensitive character couldn’t handle the situation he was in at that moment. All of this was brought to a head with the burglary Di Maria suffered, that just made him “desperate to leave”. They found a player at a low ebb, but one immediately personally happier. Paris and the South American culture of the club suited him perfectly. The relative ease of the French league for PSG also helped, but the fact Di Maria was performing better also brought out his resolve. Unlike at United, he was now ready for challenges – like Neymar’s arrival. The expectation was Di Maria would be squeezed out, and PSG were willing to sell. Instead, he stayed, and really knuckled down. His willingness to fill in in midfield eventually ensured he never left there, and Neymar’s presence began to suit him. The positional freedom the Brazilian enjoys also freed space in behind for Di Maria to run into and score. There was then the period when Neymar was injured at this time last year, and Di Maria was temporarily PSG’s top scorer. That is now especially relevant to this season’s last-16, as is his mood. Di Maria never complains in a squad that has so many egos, and is a guiding presence for young players like Juan Bernat and Leandro Paredes. The word is he “brings a different profile” to PSG and a lot of energy. In other words, everything missing from his time at United. Then again, he also has everything he was missing at United.